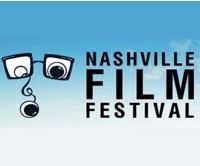 The Nashville Area Hispanic Chamber of Commerce* (NAHCC) announced its sponsorship of the NaFF Latino Film Series, which features musical themes in films from the U.S., Mexico, and Argentina. Descriptions of the films are below. COMPANERAS (80 min.) An intimate profile of America's first all-female mariachi band: Mariachi Reyna de Los Angeles. Taking on a male-dominated culture and musical tradition, this group shatters stereotypes while expanding the popularity of mariachi music. USA, directed by Liz Massie and Matthew Buzzell. Monday, April 23, 7:30pm and Tuesday, April 24, 2:30pm. Directors in person. THE VIOLIN (106 min.) This award winning Mexican film is a tender and tense drama about a rebel army, the military, and a gentle, elderly violin-playing peasant’s attempt to outwit the commander in order to smuggle out ammunition. Mexico, directed by Francisco Vargas, Tuesday, April 24, 7:00pm. *Hispanic Chamber 101: There are four Hispanic chambers of commerce in Middle Tennessee: the first three are the Franklin Area Hispanic Chamber of Commerce, the Nashville Area Hispanic Chamber of Commerce, and the Tennessee Hispanic Chamber of Commerce. The Tennessean profiled these three chambers in this article in June 2006. A fourth chamber was incorporated last year (the Middle Tennessee Hispanic Chamber of Commerce) but no activities have been announced.